Nanaimo’s most convenient location, downtown on the waterfront. The building is solid steel and concrete. 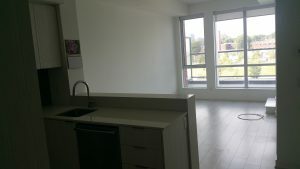 This 3 bed 2 bath spacious suite is 1325 sq ft modern and updated. Beautiful views overlooking gorgeous garden space and the marina. This unit comes with 2 parking spaces and a storage locker. Across the street you have groceries, doctors, life lab, liquor store, casino, marina, and the Port Theatre is only 1 block away. Come downtown and enjoy luxury and convenience.